There is barely a peep from Washington in response to a widely forecast social and economic tsunami resulting from automation, including the potential for decades of flat wages and joblessness. But cities and regions are starting to act on their own. What's happening: In Indianapolis, about 338,000 people are at high risk of automation taking their jobs, according to a new report. In Phoenix, the number is 650,000. In both cases, that's 35% of the workforce. 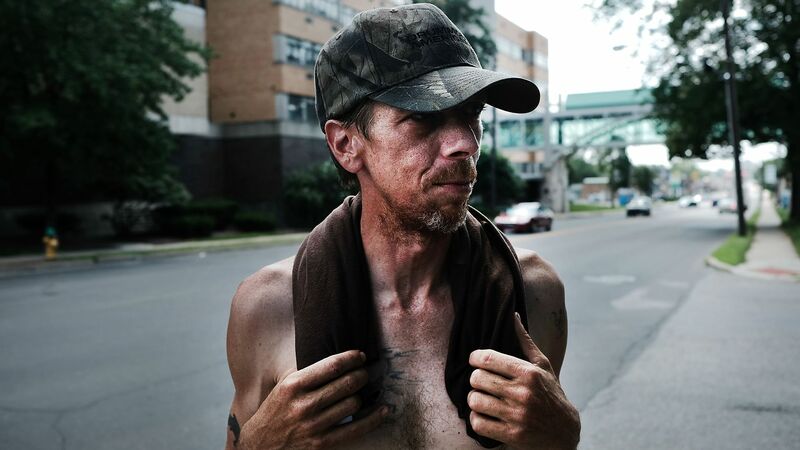 In northeastern Ohio, about 40,000 workers are at high risk. "This is a national trend that is going to play out locally. This is something the country and really the world is facing right now," said Rachel Korberg of the Rockefeller Foundation, which funded the reports covering Phoenix and Indianapolis. The cities are only starting to figure out what they can do. In northeastern Ohio, Jacob Duritsky, of TeamNEO, an economic development group, says a report issued this month begins the process of training the work force in projected high-demand future jobs. Go deeper: The jobs and business mecca of Savannah, reported by NYT's Patricia Cohen and Natalie Kitroeff. Skeptics, including oil companies and much of Wall Street, continue to heap doubt on the ability of electric cars to break out of their green-fanatic niche any time soon. But a new forecast suggests why they can — because they will piggy-back onto existing mobility fashion. By which we mean ... the love affair shared by Americans and Chinese for SUVs. These tall, roomy vehicles accounted for 42% of all U.S. demand last year and 39% of China's, dominating the largest car markets in the world. Now that ardor will grow into surging demand for electric SUVs, says Bloomberg New Energy Finance, a research firm. Quick take: By 2022, BNEF says in a new report, Chinese demand for electric cars will triple, and the largest block — 39% — will be SUVs and crossovers. As for Americans, they will buy more than twice as many electrics as they currently do, and electric SUVs and crossovers will account for 52%, says BNEF's Salim Morsy, the report's main author. Demand will be led by ultra-stylish and luxury SUVs and crossovers like the Audi e-tron, the Jaguar I-PACE, the BMW iX3, the Ford Mach 1, and Tesla's coming Model Y, Morsy tells Axios. What is most surprising: Morsy says the attitude of incumbent automakers has changed dramatically. From creating electrics simply to comply with regulation, the industry now clearly sees sales advantage. This mental shift "unlocks dozens of billions of dollars of committed and invested capital," he said. "There is a vision and a recognition that electrification has huge potential." President Trump hardly invented labor politics. But experts and leaders of both major political parties say his domestic legacy may be his intuition that the worker's time as a potent and unifying national force has returned, writes Axios' Caitlin Owens. Why it matters: Even after Trump is gone, political observers tell Axios, successful candidates of both parties will have to be seen to be seriously addressing the plight of workers, including underemployment, stuck wages and retraining. The big picture: Democrats say that, going back to FDR, they've championed pro-worker policies like strengthening unions. But Trump, as a Republican, has managed to steal their thunder, reaching out to large swaths of the working class while championing traditionally conservative measures like reduced taxes and rolled-back regulations. "We could end up in a future of Trumpism on steroids, because we're likely to see an increase in economic anxiety, and that’s likely to spawn populist politicians on both sides of the aisle." Both parties are going to be “talking about and taking action that benefits the middle class. ... Figuring out how to help those people [is] the big political question of the day." West goes on: When it comes to winning elections, “the individuals who are going to be left behind are going to be absolutely crucial, because they are located in key geographic areas. It’s the midwestern Rust Belt that’s going to bear the brunt of this, and those people are going to be the kingmakers in the next presidential election." Soaring home prices in tech corridors are one byproduct of the wealth heaped on employees of the U.S. high tech juggernaut. Last week, we discussed the cold peace between Amazon and Seattle, which has levied a head tax on large companies in the city to fund services for homeless people. A lot of readers wrote back to say they were not convinced that Amazon is to blame for the homeless, and questioned why it should pay to help them. But some found the tax valid. Among them was Stephane Kasriel, CEO of Upwork, the free-lance job listing site, who said, "Rising home prices are a negative externality created by big tech companies and thus it seems quite legitimate for their shareholders (rather than the local taxpayers) to be funding the solution to the problems they've created." Instead of putting 50,000 employees in one city, it would be much more desirable if Amazon created 10 new 'mini-headquarters' of 5,000 people each or (more difficult but even better), 100 new 'micro-headquarters' of 500 people each, ideally in smaller cities that are struggling today. Part of the reason why they aren't doing that is precisely because cities like Seattle aren't properly taxing them for the negative externalities they are creating. American Airlines' latest dictum does not in fact mention lions, tigers or bears. But you get the picture in new rules governing what creatures may accompany nervous American passengers as emotional support or psychiatric animals. If your non-human support creature growls, has a habit of threatening to bite, or lunges at other passengers — you can't board with it, writes the Chicago Tribune's Lauren Zumbach. Those descriptions don't seem to fit all goats, lizards or spiders, but they are banned as well. Among permitted animals: miniature horses, such as the one in the photo above, as long as it can fit into a kennel underneath your seat and you pay its $125 fare. Situational awareness: I have seen goats, sheep and chickens aboard flights in Afghanistan, but never in the U.S., Europe or elsewhere in Asia. Since Kabul is not on American's routes, I asked the airline whether people really travel with goats or miniature horses. "While not common, these are things we have seen on American Airlines." What animals can do on American: Sit in your lap as long as they are smaller than a 2-year-old child. What they can't do: Have their own seat or eat from your tray.